My 2015 album Outsiders has been re-mixed, with a brand new master made by Gavin Lurssen. Today I’m re-releasing it through Bandcamp (for free for a limited time only) so you can hear the album the way it was meant to be. When Outsiders came out in 2015, I was in a fix. I had spent my small budget on the recording sessions, but I had painted myself into a creative corner: I still had to mix the recordings, create the artwork, print CDs, market and release it - all of which are costly ventures - and I was an independent artist with a deadline. So, out of financial necessity (because I literally couldn’t afford to hire anyone else to do it), I did as much of the work as I could. That is to say: I did it all. It was a steep learning curve, and I won’t go into the details here, but let’s just say that there were a few things about the overall sound of the record that have bugged me to this day. So… I’ve decided to fix them for good. Outsiders has now been re-mixed, and it’s been re-mastered by Gavin Lurssen. The new mixes sound better, fatter, fuller, warmer - they sound the way they were meant to sound. It’s out now, and for a limited time, it’s free! Please, spread the word. I’m very proud of this album and I truly want everyone to have it, the way I intended it to be. There’ll be more music coming from me in the not-too-distant future, I promise that. But for now, please click on this link to download Outsiders, the way it was meant to be, and please feel free to share the link with your friends & family. 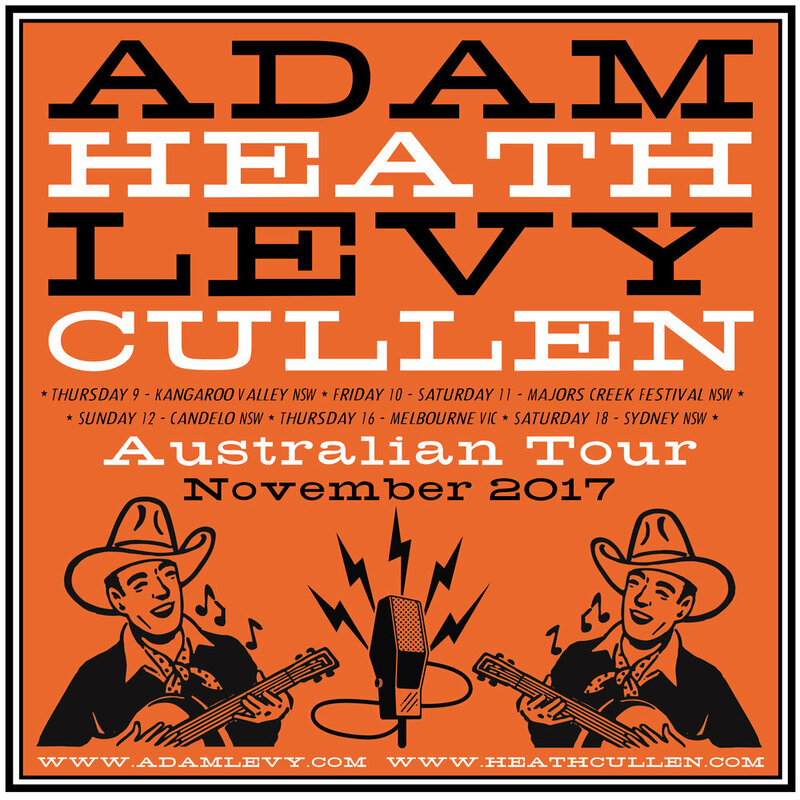 Heath Cullen and Adam Levy will join forces for a double bill tour of Australia’s east coast this November. It will mark Levy’s first visit to Australia under his own name (he’s appeared here on more than one occasion as part of Norah Jones’ Handsome Band), and Cullen’s first Australian tour in three years. Woke With The Birds, from the 2010 album A Storm Was Coming But I Didn't Feel Nothing, filmed at home in 2017 by Tim Winterflood. More videos can be found here. Heath was one of five Australian artists (along with Bernard Fanning, Sarah Blasko, Paul Dempsey and Chris Cheney) recently invited to sing at the Sydney Opera House as part of the international tour Celebrating David Bowie, featuring collaborators and band members from across Bowie's career, including Mike Garson, Sterling Campbell, Earl Slick, Bernard Fowler, Gaby Moreno, Holly Palmer and Adrian Belew. The Australian Broadcasting Corporation has just announced that in 2017 they will be cutting nearly all music programming from Radio National (The ABC is Australia's publicly owned broadcaster, our equivalent to the BBC, and the jewel in her crown is ABC Radio National). Four great and eclectic shows, The Inside Sleeve, The Daily Planet, The Rhythm Divine and The Live Set are to be axed, so that only a single one-hour program per week, The Music Show, will remain. These programs are invaluable to the Australian independent music community - they're not the only music channel from the ABC, but they're the only shows that play much of our music and the music of many visiting independent artists. For many of us they are the only way to reach a national audience, and taking them off the air will be devastating. For Australia, this is akin to the BBC taking Jools Holland off the air. ABC RN's broadcasts reach into every nook and cranny of this country, and play an integral part in informing and reflecting our cultural and national identity while providing an unparalleled window on international news and culture. It's fair to say that I probably wouldn't be doing what I do if it weren't for Radio National's music programming. RN has given me two great gifts; firstly a window throughout my life to the music that has inspired me to be who I am and to do what I do, and secondly, a platform, and actual support, to help deliver my own work to the world. I grew up out here in what many city folk would call the boonies, 15km down a dirt road outside a village of around three or four hundred souls in a far flung corner of rural New South Wales. It's about seven hours drive North or South to Sydney or to Melbourne, and I don't mind at all - I'm still proud to call this place my home. Back then, as a teenage boy in the bush, pre-internet, the only window I had to a wider musical world beyond the mainstream (the so-called "alternative" guitar-pop of the day) was Lucky Oceans' show The Daily Planet. Lucky's show was eclectic and amazing. He would play an unknown kora player from Mali one minute, an obscure and mind-blowing songwriter from Nashville, Newtown or Northcote the next, and his passion for the music and the human story of it was contagious. I tuned in every afternoon and listened with intent. We are porous creatures, and we absorb everything that we open ourselves up to. In Lucky's show, I found a daily dose of new inspiration and discovered much of the music that would become a tangible part of who I am as an artist, as a human. There was nothing in the world like the Daily Planet, and I believe that is still true today. I was saddened when the show was shortened several years ago and relegated to a lonely late night time spot, but I continued to tune in. The recent news that the ABC will be cutting the show altogether is heartbreaking to me. Since I began my work as a recording artist, the support provided by ABC Radio National's fantastic music programs (The Planet, The Live Set, Music Deli, The Inside Sleeve et al) and their respective program producers and presenters has been invaluable to me as an artist. In a country as vast as ours, reaching out to an audience and building a market beyond your home town is an endless, thankless job of hard work, and much of the time that work doesn't even pay off. This situation is not specific to regional artists like myself - I'm sure that every one of my city-based peers will tell you the same. Enter Radio National. Our national broadcaster's charter requires it "to encourage and promote the musical, dramatic and other performing arts in Australia" and Radio National have, up until now, always done it well. My work takes me all over the country, and wherever I go, RN has played a major part in connecting me with my audience - there are always people who have discovered my work on an ABC RN program, so they come along to a show. The ABC's announcement that it will cut music programming from Radio National is devastating news, not only for Australian musicians and music lovers, but for cultural venues and festivals, publicists, promoters, agents, record labels, recording studios, and international artists traveling to our country to perform. The decision to cut nearly all of this treasured music programming from RN's schedule is the wrong decision, and it must be reversed immediately. Please show your support by adding your voice here. Heath Cullen and his band will be appearing at ARTLANDS, the Regional Arts Australia Festival and Conference, held in Dubbo, NSW, this October 28 & 29. The full festival program will be published in July. Follow this link for more info. Produced and mixed by Heath Cullen, Michael Menager's Not The Express is out now. The album features Heath on guitars as well as guests Jim Keltner, Matt Nightingale and Aaron Embry. Not The Express was engineered by Ben Tolliday and mastered by multi Grammy award winner Gavin Lurrsen. Listen to the full album below. For more about Michael go to www.michaelmenager.com. To buy Not The Express go here, or find it on iTunes here. RHYTHMS MAGAZINE have declared OUTSIDERS "One of the finest, most inspired Australian rock albums in quite some time, the work of a man well on top of his game". The album has garnered praise in four-star reviews from the DAILY TELEGRAPH and the CANBERRA TIMES, and the SYDNEY MORNING HERALD exclaims "Heath Cullen has it right. If you're going to hire the Imposters, Elvis Costello's longest running backing crew, give them meat on which to feast and give them room. They land everything perfectly." 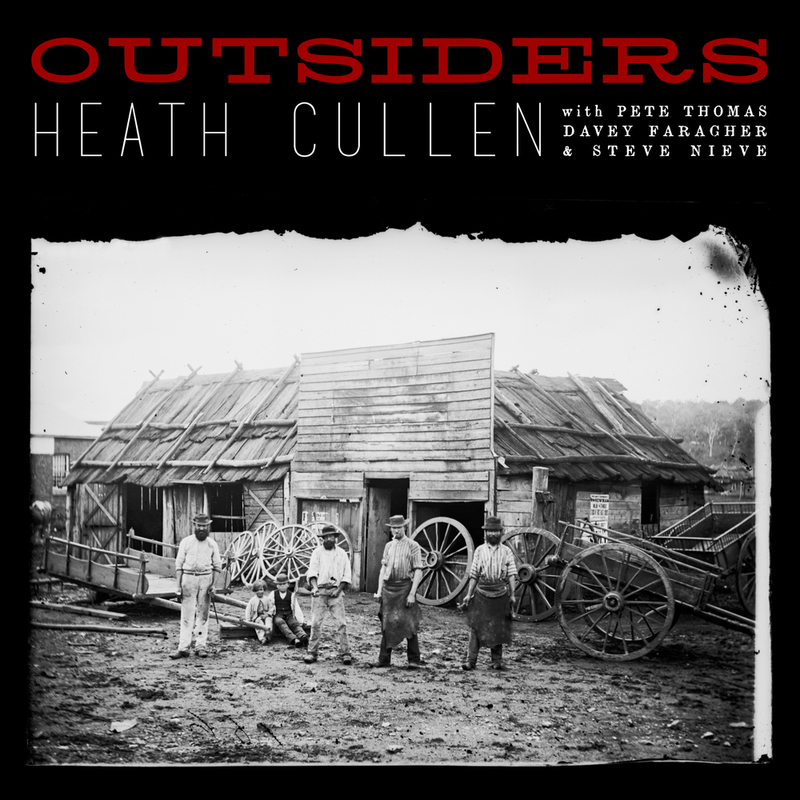 Click here to listen to an Interview from ABC South East about the making of OUTSIDERS. 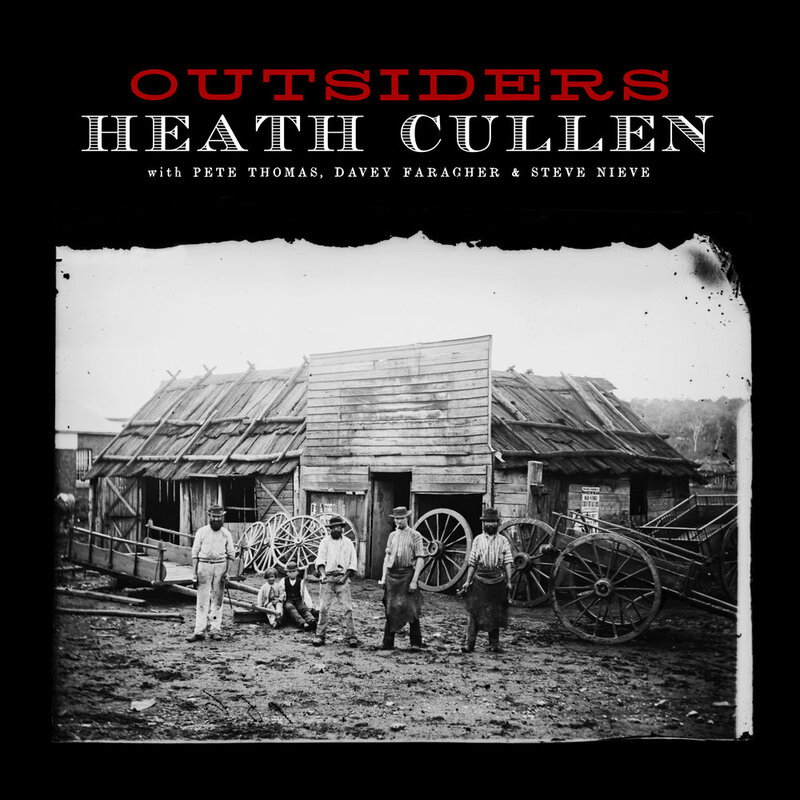 From ABC South East Music Who'll Ring The Bell is one of the songs on Heath Cullen's newly released album titled Outsiders. This solo version was recorded in Heath's home studio in New South Wales. Heath has been at work in Los Angeles producing the follow up to Michael Menager's 2014 debut Clean Exit. Stay tuned. L-R: Ben Tolliday, Jim Keltner, Heath Cullen, Michael Menager, Matt Nightingale. Heath will be hitting the road (solo) this September to open for 3-time Grammy winning Singer/Songwriter/Producer Joe Henry on his Invisible Hour Australian tour. See the tour dates page for dates and tickets. This recent live clip has just surfaced, shot from side of stage at the beautiful Tivoli Theatre in Brisbane, QLD Australia, in May of 2014. Heath has been in the studio working on his third album, to feature special guests Pete Thomas, Steve Nieve and Davey Faragher - otherwise collectively known as Elvis Costello's long-time band The Imposters. Stay tuned!